A series of photographs that serve as an intimate record of bigotry and homophobia. 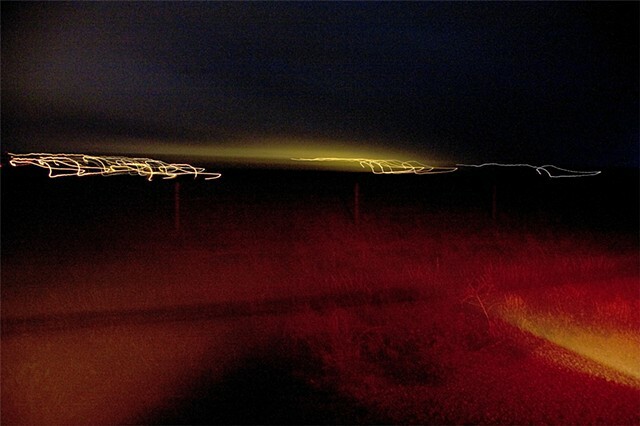 Using a DSLR camera, I took one long exposure from outside the window of a rental car while traveling the five mile distance of gay University of Wyoming student Matthew Shepard’s abduction by two men to his fatal beating. 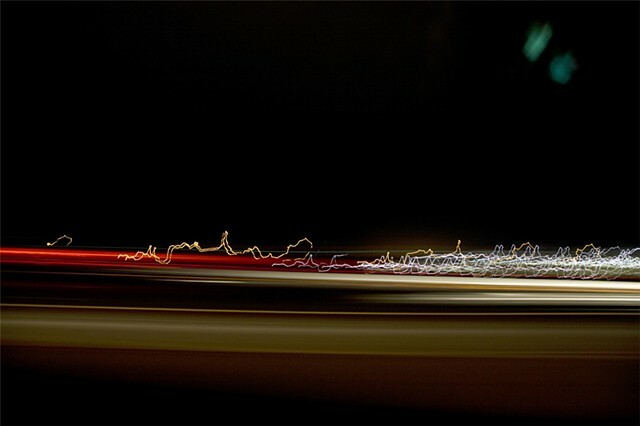 Streaks of light throughout the resulting image were created by a combination of the length of exposure time determined by the two fixed points and the car’s speed—a measurement of the time and subsequent brutality that he endured alone. The coordinates 41.296111, -105.515000 were found via the Internet’s geo tracking of the location of the deer post where Shepard’s body was left, tied and beaten into a coma.